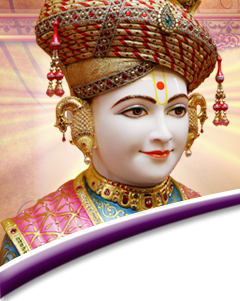 From July 19th through July 22nd, 2012, history will be made, as His Divine Holiness Acharya Swamishree will perform the Murti Pratishtha Mahotsav and Divine Idol Installation Ceremony of the first-ever temple of Shree Swaminarayan Gadi on the West Coast of America. The opening of this 25,000-ft assembly will be celebrated on a majestic scale with the auspicious yagna ceremony, a grand parade through the streets of Los Angeles – just minutes from downtown LA and Hollywood, various cultural performances, and the showering of Acharya Swamishree’s divine blessings upon all. This will all culminate with the divine idol installation ceremony itself. The disciples of SSSSM West Coast invite all disciples of Shree Swaminarayan Gadi Sansthan to take part in this wonderful Mahotsav.